If you’ve just been turned down for a loan or had to resort to a high-interest, subprime loan, you might wonder where you went wrong. Banks and credible lenders assess the risk of lending money by looking at your credit score. Your credit score is a numerical measurement determined by how many times you’ve missed or been late with a debt payment, run high credit card balances, opened too many (or too few) credit accounts, or made too many credit applications, such as for a car or a house. Your credit score rewards using credit and paying it back on time. 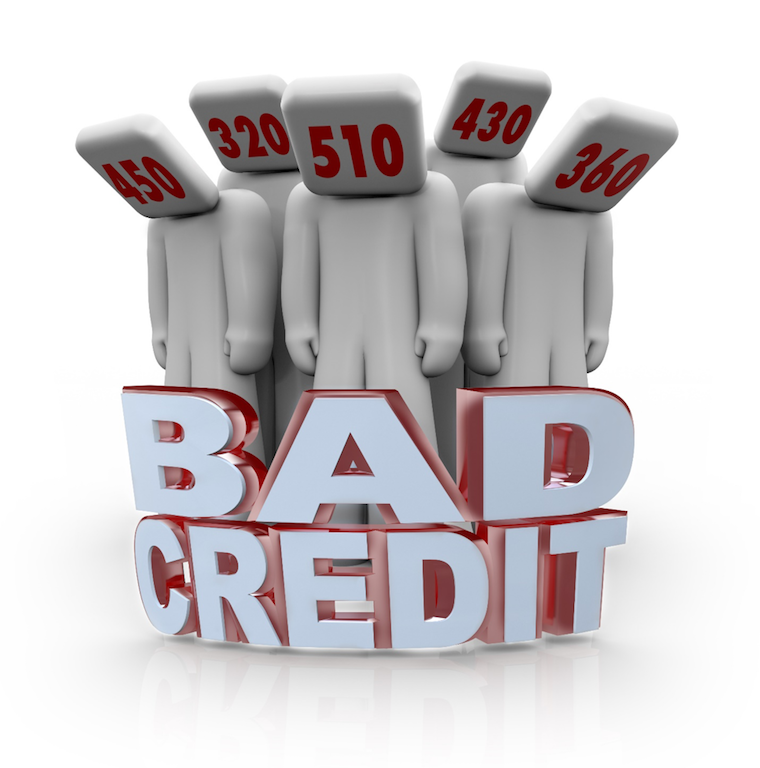 In Canada, any credit score below 599 is considered bad, while 600-649 is fair. Scores from 650 to 900 are good, very good, or excellent as you climb higher. Bad credit happens when you miss payments or pay late. The longer this goes on, the more likely creditors are to take legal actions that can seriously damage your credit score, such as sending your debt to collections. Interest rates and interest penalties start to accumulate, and it becomes harder and harder to repay the debt. You may even become insolvent, but this offers some opportunities for getting out of debt. You can wind up with a bad credit rating without going into insolvency, but if you are in a position where you should file for bankruptcy or a consumer proposal, there is a good chance that your credit rating is very low. It can take you years to climb your way back to solvency on your own. It may even be impossible. Filing for bankruptcy or a consumer proposal provides you with credit relief and hits the reset button. To begin filing for insolvency, learn about a trustee in bankruptcy, now called a Licensed Insolvency Trustee, near you. You need a trustee in bankruptcy to file for either bankruptcy or a consumer proposal, but they can also help you in other ways. Toronto-based bankruptcy trustees David Sklar& Associates also provide credit counselling for individuals who go through insolvency. Credit counselling courses focus on managing debt, rebuilding credit ratings, and using credit responsibly. One thing you will need to do to rebuild your credit is get a new credit card. A credit card can be a useful tool that allows you to re-establish credit after going through the insolvency process. If you have bad credit, your options for credit cards may be limited in Canada, but there are some options that can help you rebuild your credit including secured credit cards for individuals who have recently emerged from bankruptcy or a consumer proposal. A secured credit card is easier to get with bad credit because the lender takes on no risk. You make a deposit on your card and essentially use your own money to make purchases. Unlike a debit card, these purchases still go toward your credit rating. Paying credit card balances on time and in full is one of the most reliable ways to start rebuilding your credit. Don’t make multiple applications for car loans or mortgages at one time, as each application applies a demerit. A good credit score often means you can access lower interest loans, making it easier to repay your debts. Start rebuilding your credit now. A bankruptcy trustee can help.